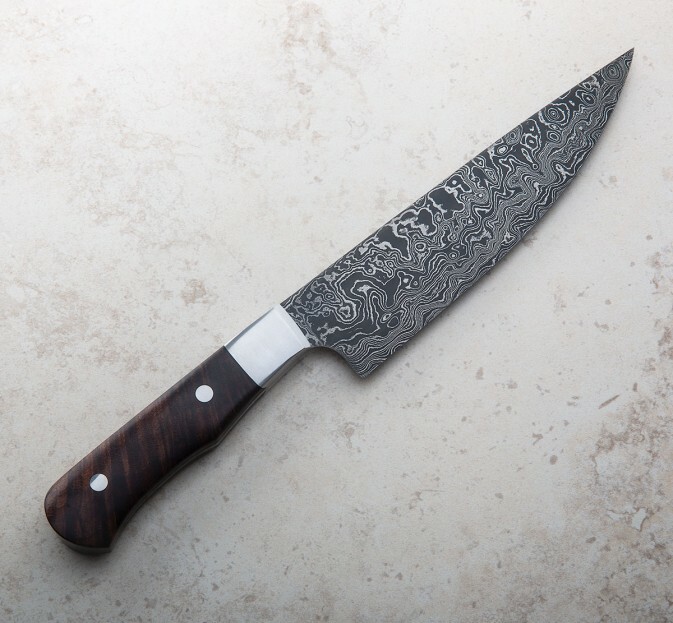 Hand-forged from housemade random pattern damascus by Shawn McIntyre in Australia, this 170mm / 7" chef sports an upswept rocker-style blade that tapers to a fine, extremely sharp tip. 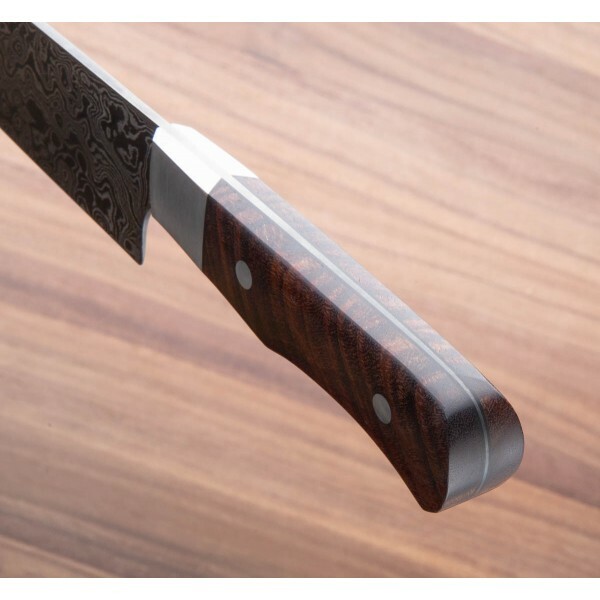 The versatile size and geometry make this an outstanding knife for tasks small and large, balancing just behind the choil to give it a fast and light feel in the hand. 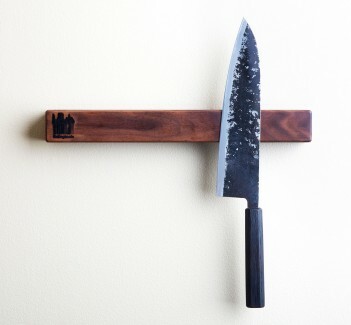 Stabilized, flame-grain ringed gidgee wood with large steel pins is combined with black micarta spacers and dovetailed stainless steel bolsters for a classic, classy look and wonderful feel. 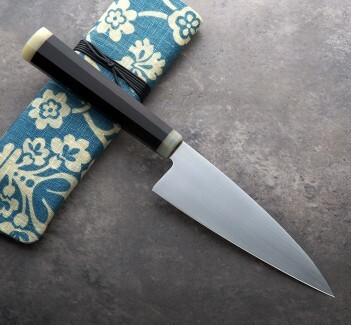 Shawn McIntyre attained his Mastersmith certification in 2008 and for years before, and since, has been creating beautiful, application-driven knives in a variety of styles and for a variety of uses. Using a combination of world-class materials and execution along with classic designs that are realized with an eye for every detail, Shawn is able to emphasize function through exacting geomtry and precise heat treatment without sacrificing an iota of form. Blade:170mm / 7". Overall length: 300mm / 11.8". Blade width at heel: 2.66mm. Blade width 1" from the tip: 1.6mm. . Blade height at heel: 42mm. Weight: 6.3oz / 178g. 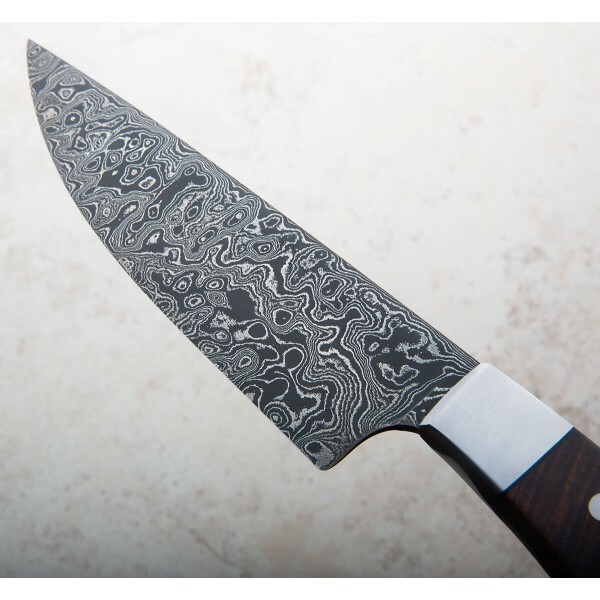 Blade: 1080 / 15n20 random pattern damascus. Handle: Stabilized flame-grain ringed gidgee from outback Queensland, black micarta liners, dovetailed stainless steel bolsters.